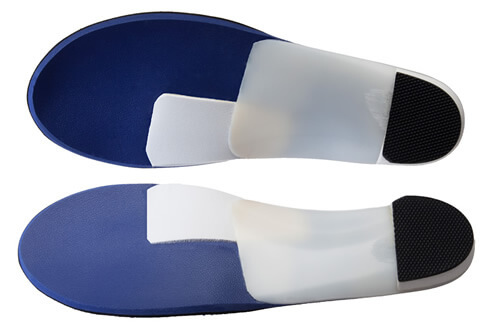 Hypermobile/Rigid Dorsal Flexed 1st Ray | Marathon Orthotics, Inc. These two pathologies can be treated with a Soft Morton’s Extension. Frequently with a Hypermobile/Rigid Dorsal Flexed 1st Ray the second or second and third met heads are overloaded. In this case, it is often quite effective to bring the ground up to load the 1st ray. What is a Soft Morton’s Extension? This is a crepe extension placed directly under the 1st met head ending at the sulcus. Note: Please check Soft Morton’s Extension in the Accommodations section of the prescription order form. Check Soft Morton’s Extension by itself or along with a cut-out for the second/third met heads.